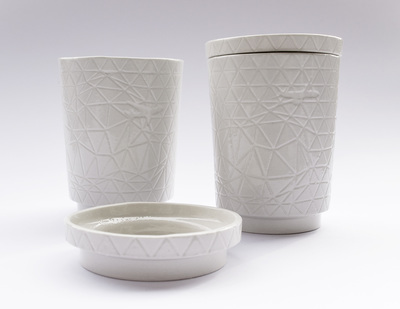 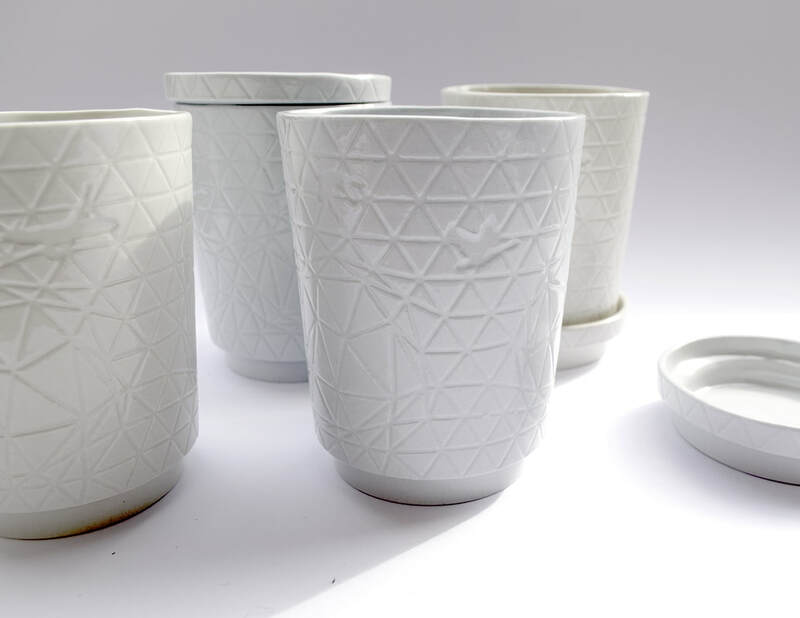 ​Contemporary possibilities of computer aided design and 3d-printing played a major role in the design of the intricate decoration imprinted in the porcelain In The Clouds cups. 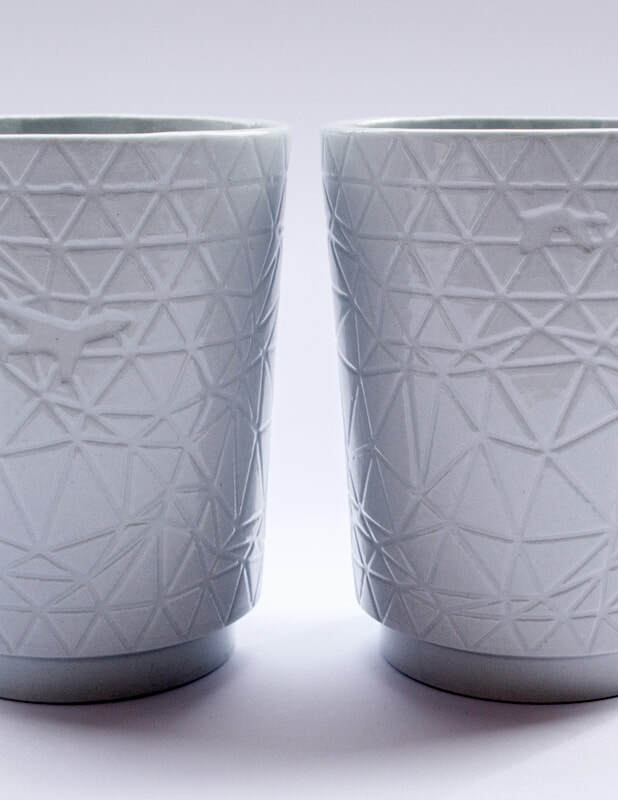 The graphic image on the In The Clouds cups is derived from the skyscapes that are often an inconspicuous part of the decoration on both Dutch Delftware as well as Asian Porcelain. Silhouettes of birds and planes flying in between the clouds, add a contemporary twist to the classic theme. 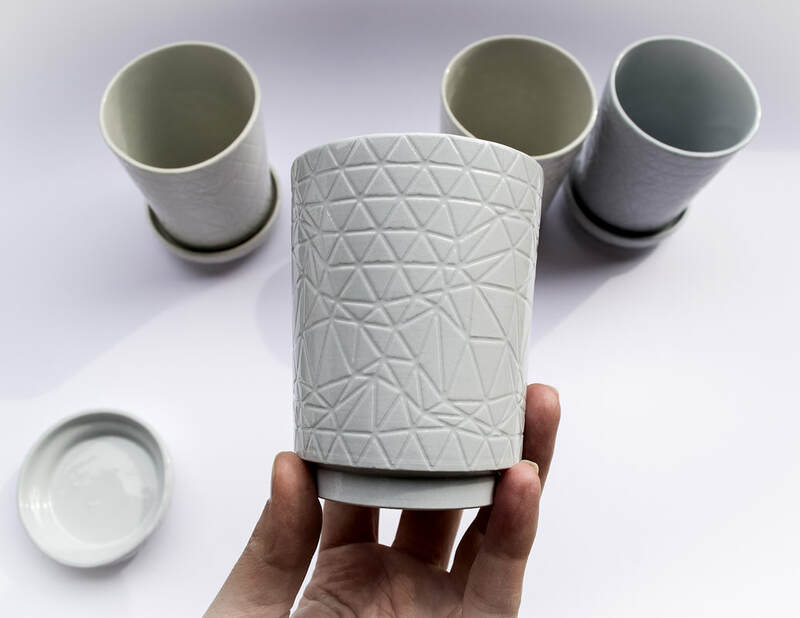 The cups are made from either white porcelain or porcelain coloured with light-grey or light-blue pigments (other colours upon request), and have a glazed finish. 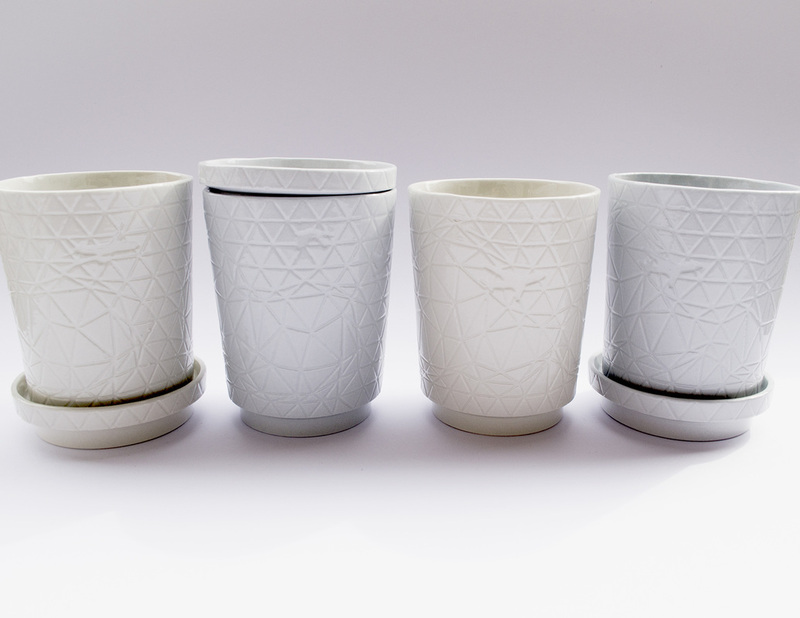 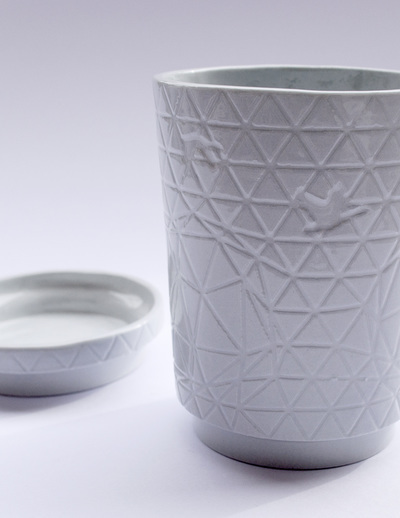 All In The Clouds cups are handmade with care in our studio in the Netherlands. 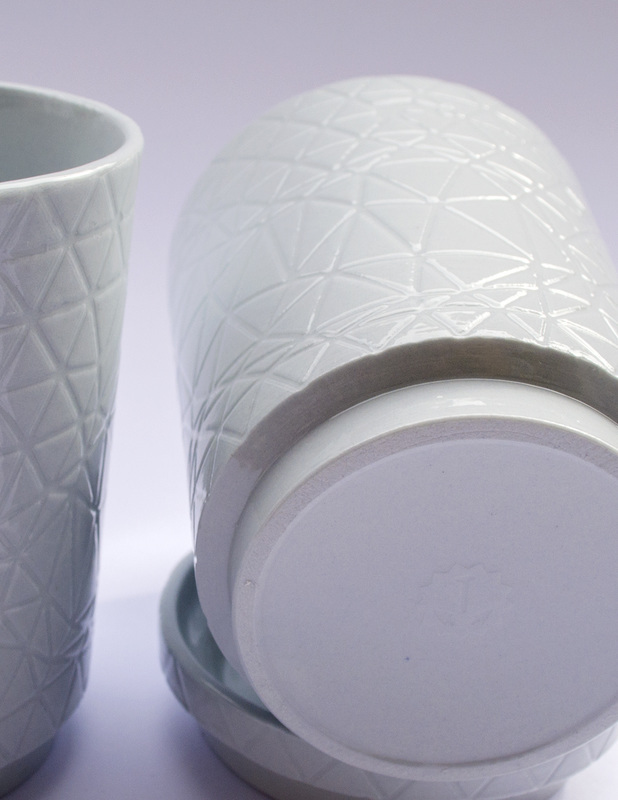 We use a 3d printed model to make molds in which we slipcast the (coloured) porcelain. 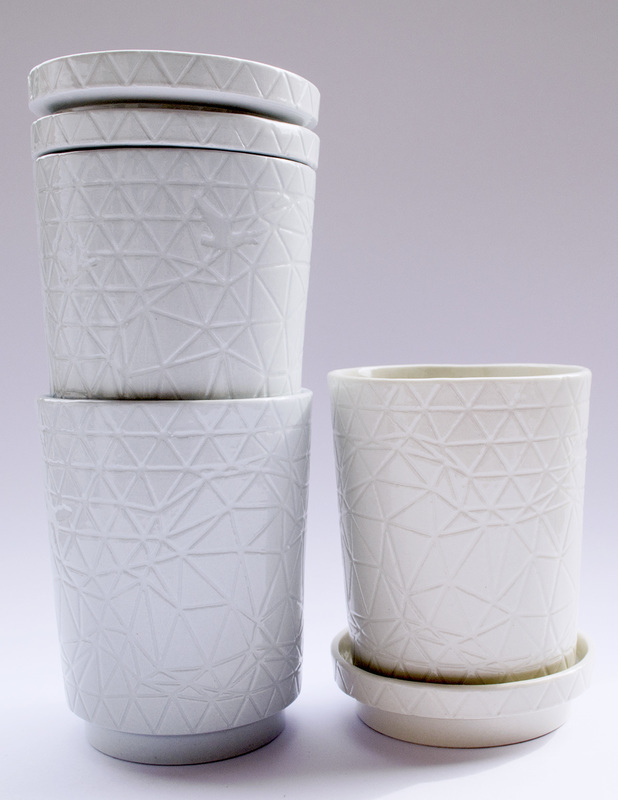 After casting, the cups are hand-finished and fired in the kiln twice. 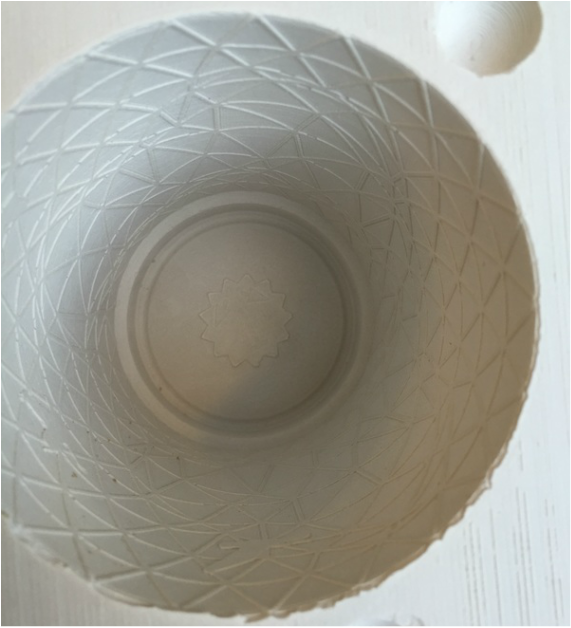 The glaze is added before the second firing.